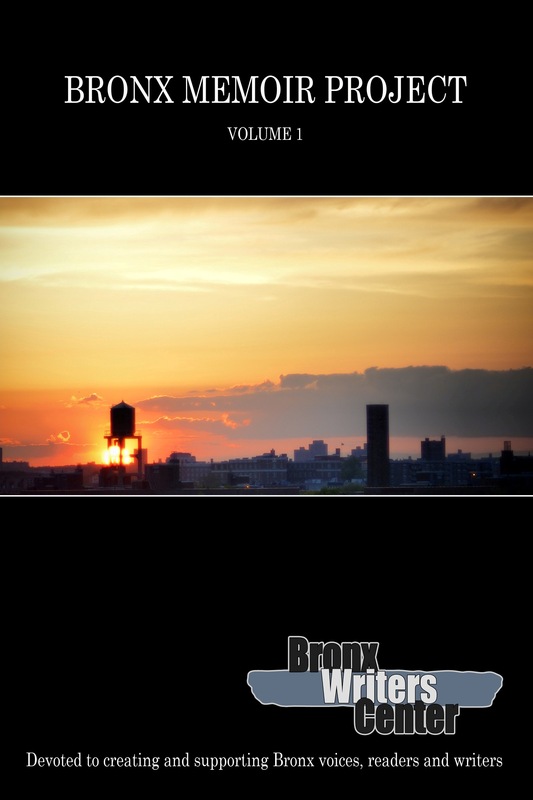 The Bronx Council on the Arts (BCA) unveiled the revealing volume Bronx Memoir Project – Volume 1 in December 2014, an unprecedented anthology of over 50 memoir fragments penned by residents of New York City’s most infamous borough. These works were written at 25 free memoir-writing workshops created by the Bronx Writers Center (BWC), facilitated by writers such as Urayoán Noel, Vanessa Mártir, Orlando Ferrand, Jon Lewis Katz, Alicia Anabel Santos, and others. This program gave residents of some of the nation’s poorest neighborhoods a chance to share their stories, by allowing them to push back against our borough’s maligned media image, while standing up against institutionalized racism and classism. A collection of first-person narratives from one of the nation’s most diverse counties as well, whose nearly 1.4 million natives and newcomers originate from all over the world: a Latino majority, followed by African Americans, whites, and others…a riveting slice of contemporary humanity. On Saturday, March 28, 11:30 am–1 pm, we’ll be hosting a reading for Bronx Memoir Project – Volume 1 that will feature several of the anthology contributors at the fantastic Poe Park Visitor Center, 2640 Grand Concourse—located in the bustling Fordham neighborhood, where the American literary master lived for the last three years of his life (which many historians either ignore or omit), and where his final home stands and is maintained by the Bronx County Historical Society. We’ll have books for sale there. Click here or more info or to purchase the book or e-book. On Wednesday, April 1, 5:30pm-7:30pm, I’ll be speaking about Bronx Memoir Project – Volume 1 at The Bronx Museum of the Arts as part of their Readings and Conversations program. This will serve as a wonderful opportunity to learn about our borough’s wonderful fine arts museum, as well as a chance to ask me questions about Bronx Council on the Arts programs and workshops, as part of The Bronx Trolley First Wednesday Arts and Culture Tour. Hope to see you there! We’ll have books for sale there, too. Click here for more info. The BWC has just created The Bronx Crime and Noir Writers Society. The orientation writing workshop and discussion for this new monthly series will be held on Saturday, March 21, 11 am-1 pm, at the Poe Park Visitor Center (2640 Grand Concourse). This free writers’ gathering will strive to cultivate material in darker fiction genres, for what could become a future anthology to be published by the Bronx Council on the Arts. This event is free and open to all. Like our Facebook page if you’d like to hear from us. Click here for more info. We’re thrilled to be collaborating with The Bronx Museum of the Arts and the PEN World Voices Festival of International Literature on May 7, 2015, hosting two workshops previous to the panel discussion “The Witnesses”, where African writers will discuss the value of elders and wisdom in contemporary storytelling. Writing workshop facilitators will be announced soon! Email [email protected] to receive writing workshop updates. Click here for more info. Longwood Art Gallery at Hostos Community College is featuring Dubbed, by Bronx-based graffiti and visual artist Lady K Fever—her first solo New York City show. She remixes her work, layering graffiti vernacular, drawings and paintings on plexiglass, cardboard and other found materials. This installation assembles photographs of her body, pop culture, and concepts from sound, exploring how rhythm and emotion translate into painted vibration and word. Through May 6, 2015. Click here for more info. 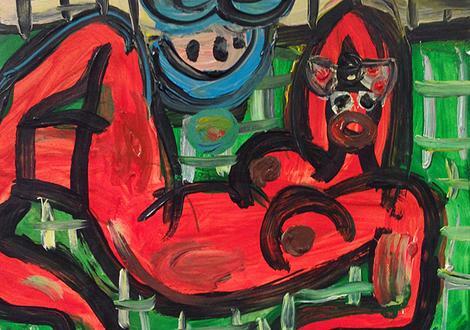 We took a field trip to The Bronx Museum of the Arts for the ultra-awesome Escape Route: Paintings and Drawings by Jeffrey Spencer Hargrave, an exhibition organized by guest curator Isaac Aden. The New York-based artist created a luscious collection of works incorporating painting, sculpture, drawings, and video, shaped by his experience of growing up black and gay in the South. Through May 31, 2015. Click here for more info. Bronx Documentary Center (BDC) will display the works of Carlos Javier Ortiz in an exhibit titled We All We Got. These stunning photographs mirror some of the themes addressed in the BWC writing sessions, which have been hosted at BDC in the past. 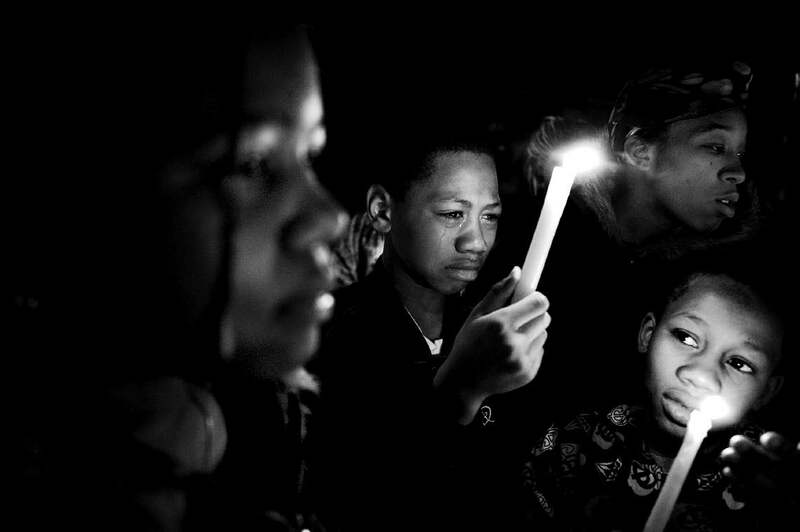 These include the consequences and devastation created by urban youth violence in the contemporary United States, as hauntingly captured in these photos taken between 2006 and 2013. Through March 22, 2015. Click here for more info.